Harold and the Purple Crayon? The Purple Cow? The Martian? 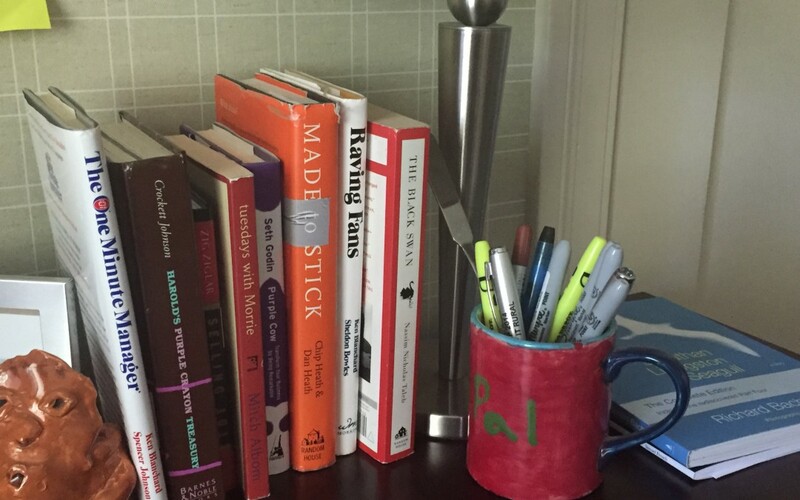 What books are on your desk? What books have you recently read? More importantly; Does it really matter? But the bottom line is that reading is an important part of who you and the conversations you will have. Since you’re reading this on LinkedIn, you really want to make sure you have a repertoire of reading that compliments your business acumen, your social presence and the professional image you want to create. How often do your clients, bosses and advisors reference sources of knowledge? You should make it a habit of referencing reputable sources to support the positions you take, recommendations you make and the programs you teach. This will only make you more credible. You don’t have to be an oracle of information, but having a few “Go To” sources will certainly improve your professional status. Chances are you’ll find that something you read will stimulate more reading. More reading leads to bigger vocabulary. Bigger vocabulary leads to sounding more knowledgeable. Sounding more knowledgeable makes you more credible. Being more credible improves your influence and results. And, ultimately that is what you want! Purple Cow – First, Seth Godin writes very well and is always relevant. More importantly the concepts presented about ‘being remarkable’ are important to every business and professional. This is one of my most vital reference guides and a gift I give to prospects and clients often. The One Minute Manager – I actually have read the whole series – twice! But this is the simple starter that makes leading people, speaking with people and driving success less daunting. A good book to be familiar with and a short, easy read. Raving Fans – We all have customers, be they internal or external. I loved learning what turns them into evangelists! This is the ultimate customer service guide. Made to Stick – This book is a tactical eye opener. It dissects and demonstrates how messages that ‘stick’ are created and implemented. There’s an incredible methodology that impacted me as a manager, a teacher and a marketer. I have five stories that I share on a regular basis out of this book! Harold and the Purple Crayon – Really? Every night at bedtime this kid writes on his walls in crayon and gets away with it? Before Ferris Bueller there was Harold. His imagination is delightful and his improvisation is a lesson to us all. Always a good conversation piece that makes me smile every time I look at it.